The Lori collection from VOX makes it easier than ever to plan the perfect home office designed to nurture creativity and productivity. Along with the signature bookcases, this range now includes two new bookcases with openwork doors – a corner bookcase and a double wide bookcase. Paired with the open bookcases, the new shelving units will help you create a wall-to-wall shelving unit that can easily transform open-plan areas into designated work areas. 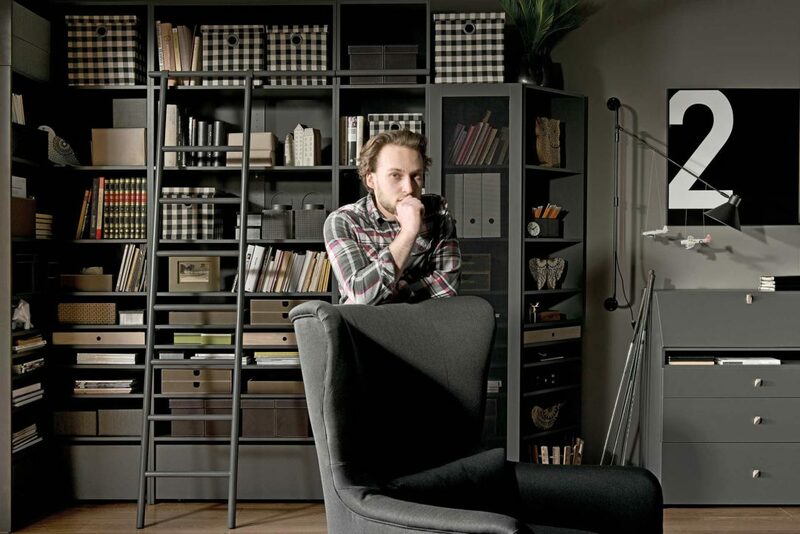 This range will also allow you to plan a man cave or a separate home office that is organised and seamlessly integrated. How do you go about creating a study that inspires plenty of hard work and focus, you may be wondering? Join us today as we share some tips on creating your dream office while showing you how the new Lori bookcases make the process even easier. While a good desk is also essential, storage is by far one of the most important things of all when planning your study. The more effectively you are able to keep your papers, books, and other items in order, the more space you will have within the room itself. Open storage can be fine for books and files, but closed storage is often required for paperwork and items that you want to keep secure. 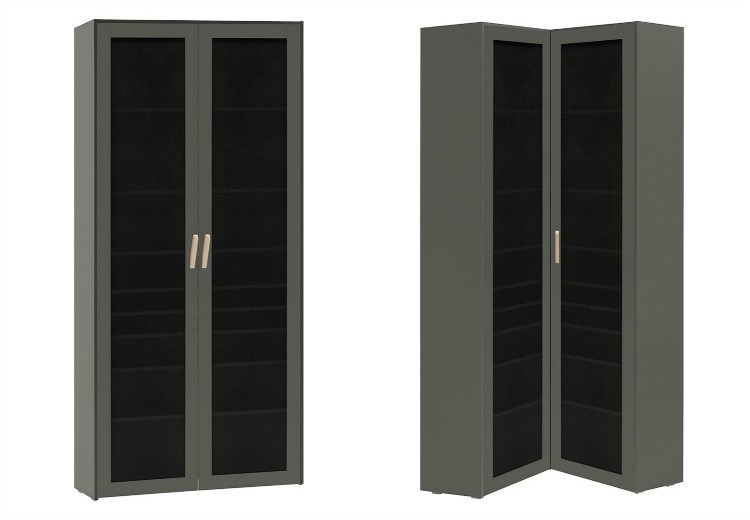 The Lori wide bookcase and corner bookcase with openwork doors both offer ample storage space, with see-through screen doors that maintain privacy while still making it easy to find what you need. When paired alongside open shelf bookcases, the effect is a fully integrated shelving system. When you try to mix and match too many different units, the effect can be less than harmonious. Keep it simple by choosing one range and style, with variations in the shelving units rather than the colour and finish. 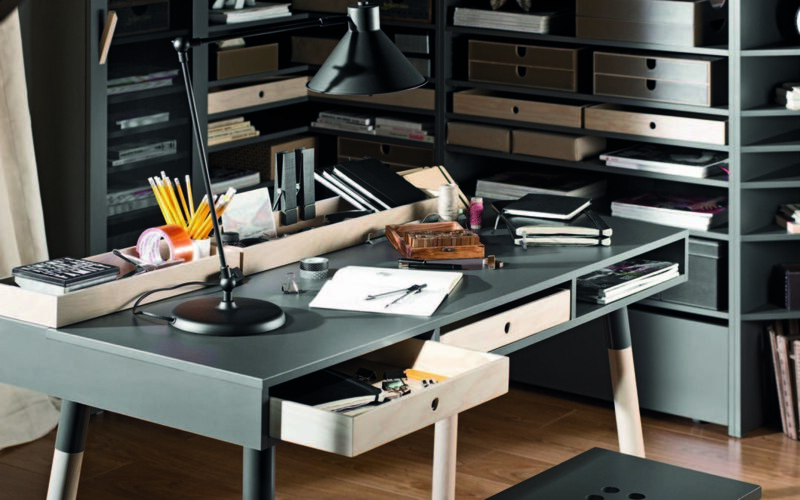 When you choose a coordinated desk as well, you are able to create an area that flows without any clashes or contrasts. Stick to simple colour schemes in wood or dark finishes that will go with any additional furniture you add to the room. Finally, another reason to invest in bookcases that provide ample storage is that they give the illusion of space. When you have very small bookcases that do not offer much in the way of storage, it is far easier to end up piling books, papers, and other items on available surfaces. Needless to say, this quickly ups the risk of cramping. With corner bookcases, you don’t even need a separate room to create a study area. Even the smallest sectioned off work area will look more spacious when you have adequate storage. Ready to create the perfect place to work and create? Browse the full Lori range now to start planning your dream home office.